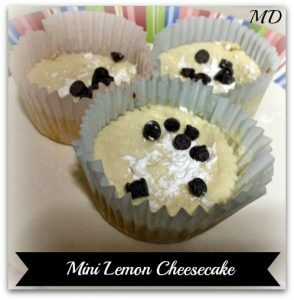 If you are looking for something to cure your sweet tooth without undoing your whole day, then you will will love these low calorie mini lemon cheesecakes! These little cups of yum are easy to make, and only 106 calories! 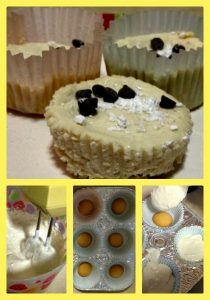 With just a few simple food swaps, you can make (almost) any recipe better for you, and these cheesecake cups are no exception! Using vanilla greek yogurt helps cut out 1/2 the sugar!